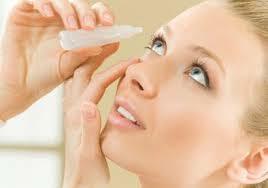 Your eyes are moistened by two different types of tears: lubricating tears and reflex tears. Lubricating tears are produced continuously to moisturize the eye and contain natural infection-fighting antibiotics. Reflex tears are produced in response to sudden irritation (smoke, onions, foreign particles), injury, or emotion. Ironically, the irritation from dry eyes can trigger reflex tears, which flood the eye. But because reflex tears do not have the proper lubricating composition, the discomfort persists. Thus, “watery eyes” can actually be a symptom of DES. As a dry eye remains untreated, it can lead to inflammation of the ocular surface. This in turn aggravates dry eye and a vicious cycle ensues. Additionally, many conditions such as arthritis or other collagen vascular diseases or autoimmune disease, can create inflammation in the eye that leads to dry eye. Controlling inflammation can be an extremely important aspect of managing DES. At Armesto Eye Associates, we work with your other doctors to help identify the problems and solutions that are most appropriate for you.